The Santa Barbara area was discovered & claimed for Spain in 1542 by Juan Cabrillo, a Portuguese explorer sailing for Spain. In 1602 Sebastian Vizcaino anchored offshore on December 4—the feast day of Saint Barbara. Vizcaino left his mark by naming the dusty, shrub covered plain between the Pacific & the mountains after the patron saint of sailors, Santa Barbara. In April 1782 Padre Juniper Serra established the Presidio Real of Santa Barbara in a grand ceremony, & four years later construction of Mission Santa Barbara began. 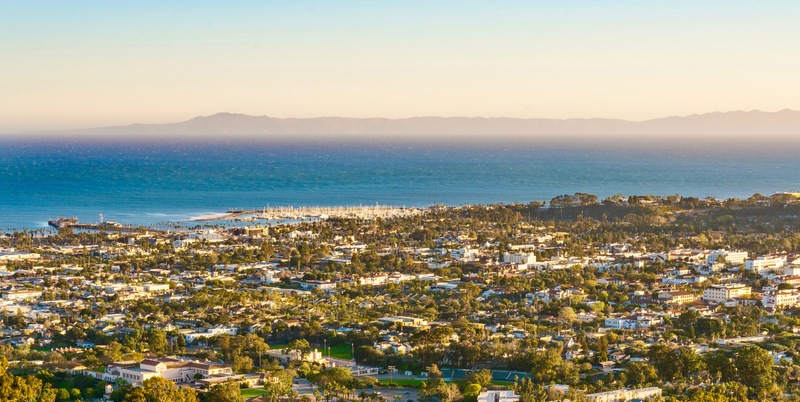 As the 19th century ebbed, Santa Barbara began to show signs of radical transformation. The ending of the Mexican-American war in 1847, left Southern California under the rule of the United States & following California’s induction as a state in 1850, the dusty expanses of Spanish & Mexican ranchos gave way to Yankees moving west. In the late 1850’s as the San Francisco Gold Rush ushered a tidal wave of westward migration, Santa Barbara began to see a new kind of settler—the wealthy. The mixture of newcomers & Spanish descendants has shaped the area for what it has become today.